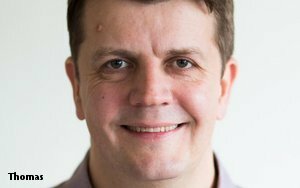 Publicis Spine, the data, technology and talent unit created by Publicis Group in 2017 to drive "transformation," has named Microsoft's Ian Thomas its Chief Data Officer. Thomas, who will oversee data and analytics strategy for the unit, will be based in London and reports to CEO Lisa Donohue. He joins from Microsoft where he was senior director-program management, customer data & analytics.